This event is co-sponsored by Fox Oldies 1220am/98.9fm. Kick-off the weekend right with the winners of the Charlie Morano Lifetime Achievement Award for Musical Excellence. Then, on Saturday, head over to The CENTER at 7pm for a special fundraiser with headliners “The Brooklyn Bridge” and opening act “Cherished Memories.” Your tickets include a 7pm ‘car-hop’ themed reception with drive-in style refreshments and classic cars followed by the performance which begins at 8pm. 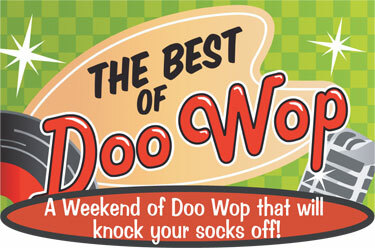 End the weekend on a sweet note with our region’s premier doo wop group, “The Phantoms” with “Times Square” at 3pm on Sunday.